A necklace, earrings, a bracelet… These jewels are included in this exclusive gift, jewels that come hand in hand with a gorgeous flower bouquet in pink tones. The best combination to make a special woman feel unique. 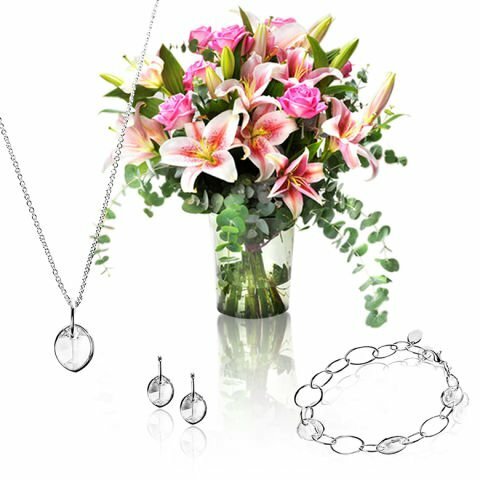 A complete jewelry set, designed and styled by MyCollection and with Swarovski crystals. It is a very versatile set, for day or night, and modestly elegant. The chain is fine, rhodium-plated, and has a pendant in the shape of a leaf, a sizeable and perfectly clear Swarovski crystal. This very Swarovski crystal leaf is mimicked in the earrings, in a smaller size, but adding delicacy. And the bracelet is a series of small, hollow links, some with a combination of leaf/Swarovski crystal. The bouquet that accompanies these jewels is another jewel in itself. 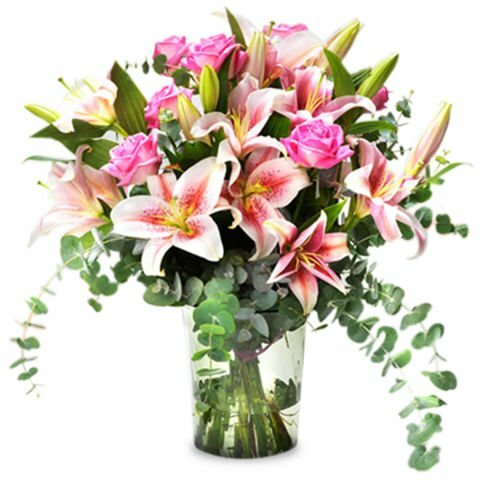 It is made up of pink lilies and roses of the same colour, and finished with foliage as fresh as morning dew. This present is distinguished for its taste, style and delicacy. The pink flowers, like the blush of a cheek, are a sign of admiration. 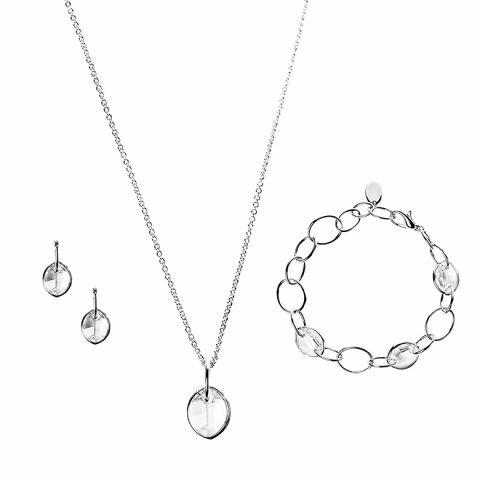 And the set of 3 jewelry pieces (pendant, earrings, and bracelet) is classic, elegant and very distinguished.